When you try to logon the wireless network, you may end up getting this error message: “Windows was unable to find a certificate to log you on to the network xxxx”. This error is normally related to the authentication on a wireless network, usually because the Windows is looking for 802.1x connection by mistake. Step 1) Click on the Start Menu –> Control panel. 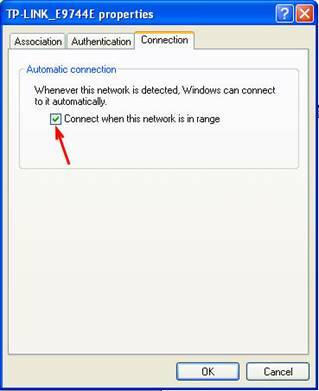 Step 2) Double click on Network Connections in the pop-up window. 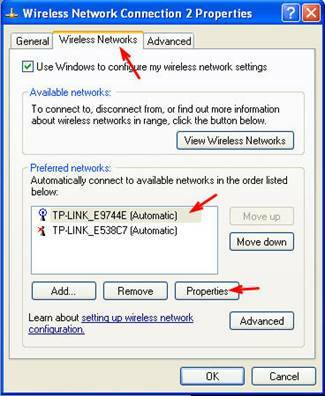 Step 3) Right click on wireless network connection, then click on Properties. Step 4) Now click on the Wireless Networks tab and select the network in the list at the bottom. Click on Properties once you select the wireless network that is having problems. 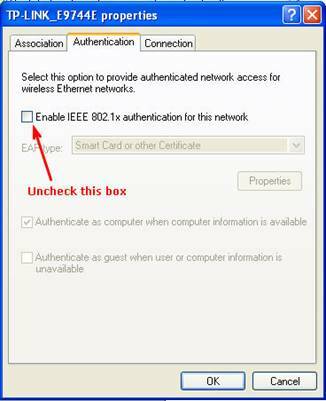 Step 5) Click on the Authentication tab and now uncheck the Enable IEEE 802.1x authentication for this network box. If the box was checked, then that was why you were getting the “unable to find a certificate to log you on to the network” message because Windows is looking for one, but your wireless router is not setup for certificate security. Step 6) Click on the Connection tab and check the Connect when this network is in range box. 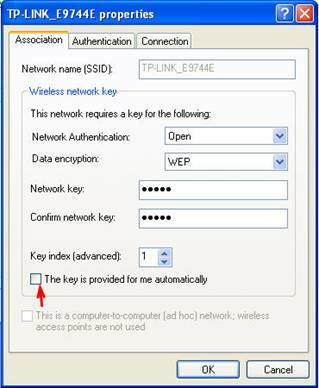 Step 7) Click on the Association tab and uncheck the ‘The key is provided for me automatically’ box, then choose Network Authentication & Data encryption and type in the Network key according to the wireless settings on your wireless router. Click OK to close out the few windows that you should have open and as soon as you do, the wireless network should refresh and show that you’re connected.